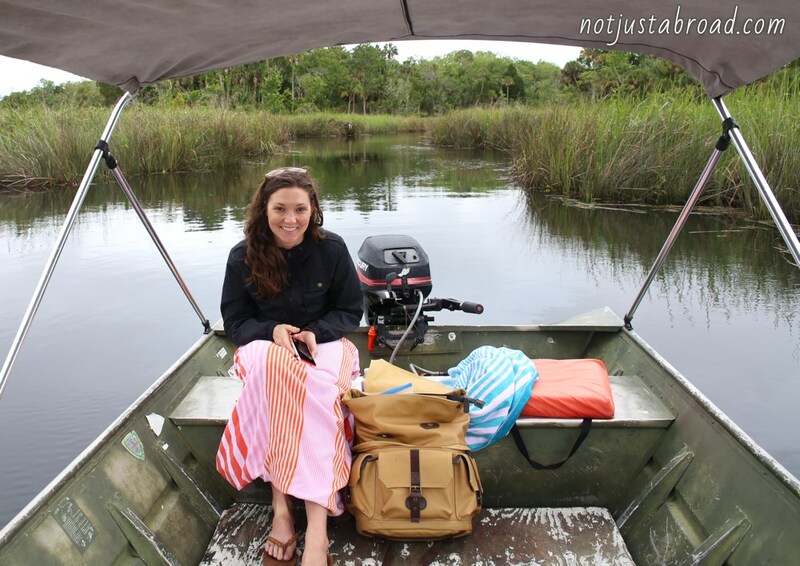 The promise of kayaking and swimming with manatees drew us to the small town of Crystal River, FL. Crystal River has a natural hot spring that keeps the water at a tepid 70 degrees year round. 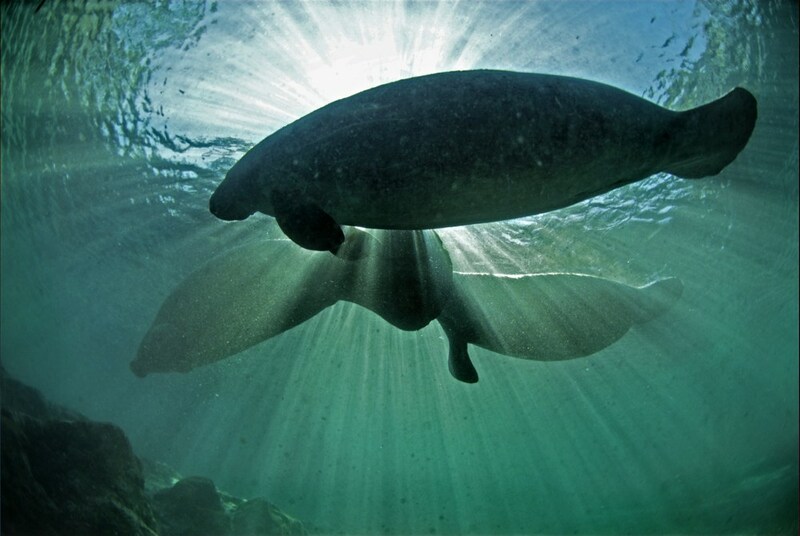 Because of this, manatees flock there to mate during their season (November 1st through March 31st). 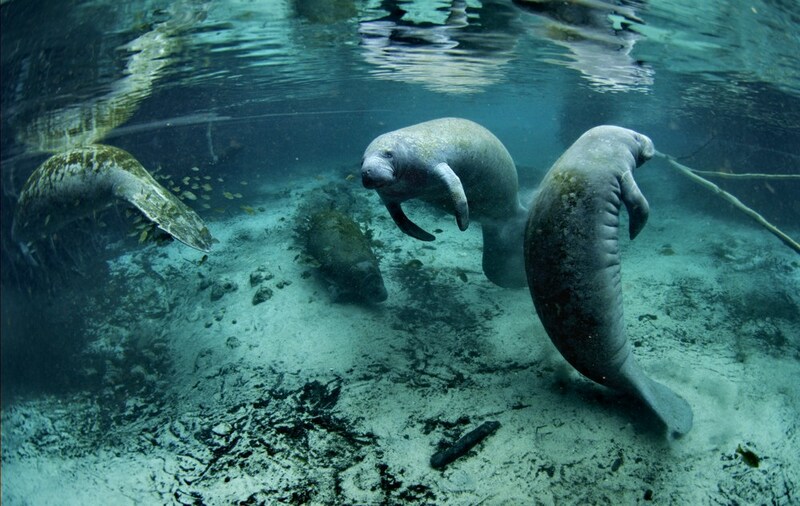 During mating season there are up to 900 manatees in the river and around 40 manatees live there continuously. We didn’t go to Crystal River until mid-April so we missed all the action—wink wink—but we still got to see some of these amazing creatures. The pictures we saw online of Crystal River showed vivid blue water with the rays of the sun shining through to the riverbed. Unfortunately, the weather had other plans for us. Our time at Crystal River was cold, windy, and rainy. The hotel we were staying at offered covered johnboats for a fee, so we decided to trade in our kayaks for the comfort of a shield from the rain and a motor. 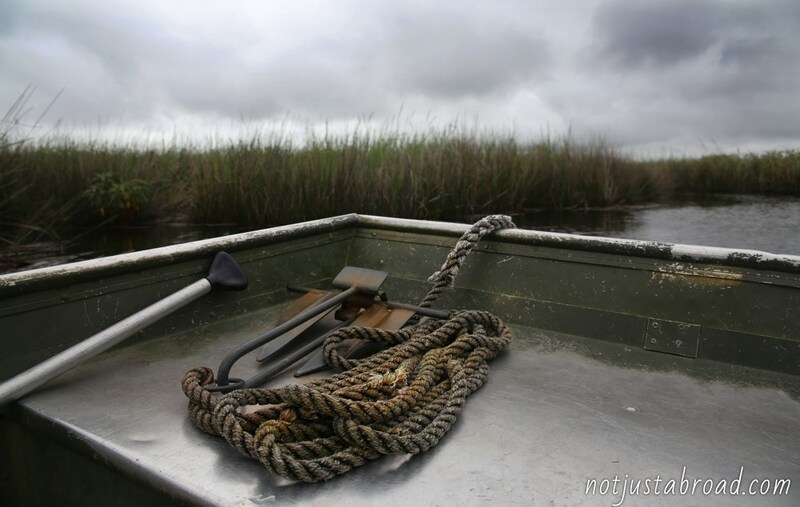 Upon climbing into the rusty, old boat we quickly discovered the cover did very little; in fact, it did nothing. The wind blew the rain sideways so it spit in our faces. The towels I had brought to dry off after our swim with the manatees were used as blankets instead; the hoods of our rain jackets were pulled tightly over our heads and zipped to our chins. With our goose bumps we sputtered down the river past manatee tour boats that were warm and enclosed on all sides. I thought I saw one so we turned our rusty bucket around to find a fat log on the bottom of the river. But then, moving slowly, leaving a trail of round impressions on the water’s surface was a mama and baby manatee. We once again turned the boat and followed behind, excited about our first manatee sighting. Eager to see others we continued floating through the no wake zone at idle speed. All in all, we saw five manatees. We didn’t swim with them 1) because it’s illegal without a flotation device, and 2) even if we felt adventurous enough to risk it, we were freezing. If you visit Crystal River don’t make the mistakes that we did. Don’t assume the weather will cooperate. Also know that a wetsuit or flotation device is required to swim with the manatees because there is fear that they will accidentally crush you. We only stayed for one day but I think it would have been better to have at least three days there to enjoy all that Crystal River has to offer. Note: both manatee photos are slightly modified versions of photos by David Hinkel, who has made them available (via the USFWS) here and here under a Creative Commons license.